Fire has taken part of Notre-Dame in Paris yet this beautiful medieval cathedral survives – reminding us of the goodness of humanity. It is important at a time like this to remember the goodness that indeed exists on Earth and within all people at their core. Continue reading for a big picture understanding of what this disaster means for Parisians and the world. The tragic fire at Notre-Dame is heartfelt throughout the world. This centuries old cathedral is a symbol of the divine and a reminder that we are all one. Let’s send prayers of love and healing. Notre-Dame is an icon of French culture, history, and indeed represents a record of humanity’s evolution for over 800 years. Sitting in the heart of Paris, it’s a spiritual landmark and place of refuge. The French spirit is there, yet this energy goes beyond France to people everywhere on a spiritual path. To be on a spiritual path is not about any particular religion but about a connection with the divine. People across the world watched in shock as this historical icon burned. Because of the internet, anyone online across the world was able to see this momentous and tragic event as it unfolded. Amazingly, Notre-Dame survived wars and the anti-religious sentiment of the French Revolution, but its spire and roof could not escape this week’s fire. Interestingly, the lighted candles inside the cathedral were still lit during the fire. And most of the cherished sacred objects inside were rescued. As a testament to the human spirit, plans are already under way to restore the cathedral. A key thing to note is this: when it is restored, the work will happen within the new more enlightened energies of these times. The Notre-Dame fire during Holy Week is symbolic of the pain and grief so many people feel in our divided world. People are hungry for spirit and the comfort that comes from faith and loving connection with others. The burning reminds us of this, and also our eternal nature which allows us to go on. There is much happening in our world that could leave us feeling despair and hopelessness. Let’s all do our best to resource our own light and inner strength and remember that these are the times when there is much darkness as the world transforms out of old thinking – yet intermixed with the darkness and indeed much more powerful is our individual and collective light and love. There is a bright future and we together are creating it day by day. Each moment we have an opportunity to choose how we will respond to an event, a person, or a life happenstance. We as divine changemakers are at the helm. Notre-Dame burning this week reminds us that love is what matters in all things. As we focus on this love we find refuge and the strength to contribute our light in miraculous ways. It’s also a symbol of impermanence, for all things physical are temporary and it is the eternal divine that grounds us in this world. When we remember how much support we indeed have – including the invisible help from spirit – we can come back to ourselves and the love at our core. To be in that place of love is why we are here! All of us can do this, a step at a time. Trust this. Copyright 2019 by Selacia – a globally known writer, DNA intuitive healer, spiritual teacher, and the creator of The Divine Changemakers * All Rights Reserved * http://selacia.com * Feel free to share these articles with your friends and post to your blog or website as long as you include this entire copyright notice, with link back to website, and the full article text. The pain of love became the medicine for every heart, The difficulty could never be solved without love. Like everything that is created, love has a dual nature, positive and negative, masculine and feminine. The masculine side of love is “I love you.” Love’s feminine quality is “I am waiting for you; I am longing for you.” For the mystic, it is the feminine side of love, the longing, the cup waiting be filled, that takes us back to God. Longing is a highly dynamic state and yet at the same time it is a state of receptivity. Because our culture has for so long rejected the feminine, we have lost touch with the potency of longing. Many people feel this pain of the heart and do not know its value; they do not know it is their innermost connection to love. The source of my grief and loneliness is deep in my breast. This is a disease no doctor can cure. Only union with the Friend can cure it. The heart longs for God, and seeks to find its true Beloved. If we follow our longing, if we allow ourself to be pierced by the pain of separation from the source, we will be drawn back to God. Longing is the central core of every mystical path, as the anonymous author of the fourteenth-century mystical classic, The Cloud of Unknowing, simply states: “Your whole life must be one of longing.” Yet our present Western society is so divorced from this mystical thread that underlies every spiritual path that we have no context within which to appreciate the nature of the heart’s desire for Truth. Many people who feel the unhappiness of a homesick soul do not know its cause. They do not realize the wonder of their pain, that it is their heart’s longing that will take them Home. A friend had a simple and powerful dream in which she was alone in a landscape howling at the moon. There was no reply, no answer to the anguish of her calling, and when she awoke she felt a failure. She had called out and there had been no answer. But the tradition of lovers has long known that our calling is the answer, our longing for Him is His longing for us, “it is You who calls me to Yourself.” The longing of the heart is the memory of when we were together with our Beloved. The pain of separation is our awakening to the knowledge that somewhere we are united with God. In this meeting there are longing and devotion and the ancient mystery of the relationship of teacher and disciple. It has been often overlooked that Mary Magdalene was the first to see the risen Christ, but it is deeply significant; for it is this inner feminine attitude of the heart, of longing and devotion that she embodies, that opens the lover to the transcendent mystery of love in which suffering and death are the doorway to a higher state of consciousness. The lover waits weeping for the Beloved to reveal His true nature. If we can create a context of longing, then those whose hearts are burdened with this quest will come to know the true nature of their pain. They will no longer need to repress it, fearing it as an abnormality or a psychological problem. We need to be able to collectively affirm this inner secret: that the heart suffers because it has not forgotten its true love. If we follow the path of any pain, any psychological wounding, it will lead us to this one primal pain: the pain of separation. Being born into this world, we experience being separate from oneness, from God, from our heart’s Beloved. We are banished from paradise and carry the scars of this separation. But if we embrace the suffering, if we allow it to lead us deep within ourself, it will take us deeper than any psychological healing. Love and suffering are powerful transformative agents because they embrace the mystery of being human. Longing is love’s call to “return to the root of the root of your own self,” to the place within the core of our being where we are always whole. Llewellyn Vaughan-Lee, Ph.D., is a Sufi teacher and the author of several books on Sufism, including “Sufism, The Transformation of the Heart,” “The Face Before I was Born,” “Sufism,” “Dreamwork” and “Jungian Psychology.” Sounds True has also published sets of his audio tapes, “Love is a Fire,” “I am Wood,” and “The Sufi Path of Love.” He was born in London in 1953 and has followed the Naqshbandi Sufi path since he was nineteen. http://www.RadiantRoseAcademy.com. Follow us in Facebook http://www.facebook.com/AkashaAsun. The Radiant Rose Academy offers a Spiritual Educational Platform for peoples from around the world who are seeking a greater understanding and growth of their Spiritual Nature. Mother Akasha: “There is another Path to embrace after your Awakening, and one that if you choose, can lift and raise you up and out of the limitation of human strife, raising you into the highest vibration of Light & Love, a path of Higher Consciousness ..it is called “The Path of Becoming your True Self” on Earth, also known as “The Path of Resurrection”. As you embrace this path, a great raising & expanding activity unfolds within your mind and your feelings, your consciousness, and ultimately your physical garments. You are awake, your Life calls upon you to rise now & become on Earth your True Glorious Self ‘I AM’ individualized of Mother/Father God. A very interesting and unusual slant on the matter of Notre Dame. Thanks to Celine. This week’s guidance from the Ascended Masters, Galactics, Earth Elementals, Faery Elders, Angels, and Archangels known as the Collective:COR: My friends, What is the significance of places of worship burning down completely or in part, in different parts of the world? Particularly, yesterday’s fire at the Notre Dame cathedral in Paris. Millions of us wept as we saw that beautiful structure, which has such a strong presence and has stood for so long, being invaded by such a powerful destructive force. Can you give us some clarity as to why there seems to be such an energy of tumult and sudden shifts in the world now? I’ve experienced it in my own life this past month, and so have many others. Is this a great cleansing? A transmutation of some kind? THE COLLECTIVE: Greetings, dear ones! We are happy to have this time to speak with you today. We would say, that though there is, as we have said often, an element of chaos in creation, and you are most assuredly creating a new world, that several other factors are also involved here. You have seen how some have noted that Notre Dame—Our Lady—is symbolic of the Divine Feminine, whether in form of the Mother of Yeshua or some other Divine goddess expression. It is important to note that there are no holds now on how energy on the Earth expresses itself. For a very long time, energy on your planet was held in certain patterns and waves. People would find it difficult to say or do or believe things that were an individual expression, and that varied from what their social class, religion, gender, or culture had been taught to believe. You have seen oppressive governments in some countries, where this is still attempted—a stranglehold on certain thoughts or behaviors. Except that in the Earth eras we speak of, this influence was not obvious to the masses. It was simply “in the air” to believe only certain things possible or true, due to the energetic matrix which people lived under and unknowingly followed. These old oppressive energetic structures are no longer working so unfailingly now. In fact, they are failing colossally. Human thought and emotion, and most importantly, inner wisdom and imagination, have broken out of the old system into an era when individual thought stands at least as strong as the socially trained, carefully programmed group belief. And in many cases, it stretches well beyond what the group has been told to consider to be truth. As human beings exercise this new freedom, they influence countless others across the world on the etheric plane. Humanity’s own intention has pulled this planet from a place in the cosmos where ignorance and slavery were the norm to a place of individualism, authenticity, and soul purpose—a multiplicity of beliefs expressing as Truth, and an expression of the honesty of the individual journey. You are awakening, in other words! You are no longer automatic puppets and slaves. And though that is a relief to know in some ways, it ushers in a very great “shake up” on other levels. When you see institutions burning that have long symbolized the comfort of certain traditions, understand that much of that comfort is an inadvertent addiction to the “cover” of the old structure. Deep within the Love you experience for a particular sacred space, is the drive to know yourself, to know the Universe, in ways and at a depth you have never experienced while in a human body, or not experienced for millennia. That intent to know and revere the inner sanctuary cannot be destroyed, unless you choose such. In regards to Notre Dame—no one can harm your connection to Yeshua, to Mary Magdalene, to Mother Mary or the apostles, or the Archangels. No one in that well-known story will turn from you or repudiate your desire to know them and to know yourself in the Light of their story, though the old rules of religion may instruct you otherwise at times. Humankind is not only (mostly unconsciously) releasing its need for religion as a spiritual guide or resource. Humanity is overcoming and exceeding the limits of religion. It is breaking apart those strictures and boundaries that have not only kept your ideas and understanding small and confined (and often erroneous), but forbidden you to ask certain questions and hold certain thoughts or images as possibilities. We understand that you are experiencing discomfort in many ways. The old order is exerting whatever influences, pulling whatever levers of control it still possesses now, in an all-out effort to keep people’s vibrations low, their expectations small, their beliefs dim and grey. You will not fall for this, though it may feel that way some days. You have recently had a tax day in the United States—note how many now are realizing the extreme inequalities of that system, and are asking, essentially, why the king’s men must still be paid, in a country that was crafted to be a democracy. To return to your question, fire is a fascinating element. You have yourself witnessed its power to transmute and to clarify, in sweat lodge experiences, and in Nature. The flames and heat intend not so much to harm as to promote a powerful energy that yes, transmutes in many ways, and also purifies and clears that which has decided to return to the air, to pure etheric form. The timbers of that institution understood that—remember that there is life and consciousness in everything!—and willingly gave themselves up to what was intended to be an emotionally wrenching event, yet what will turn out to be a cleansing and clarifying one. The medieval energies of that structure have been seeing the results of their era end, and move on. Knowing it was time for them to do the same, they have released their Earth form, and also returned to the ethers. It is time to release the energies of master and slave, of kings and lords and peasants, of the hierarchies that spelled misery for many millions for many centuries. As you witness the result of powerful shifts in astrological placements, you are also witnessing what is being birthed on your planet as a result of these crucial moments, and humanity’s own decision to Ascend. And so, we would say, do not fear these shifts and changes, however much of a shock they may be some days. Though events such as these are being used as a lever to intimidate, lower vibration, or bring feelings of disempowerment, you have noted, as you saw groups of people singing outside the edifice while it burnt, that the opposite is true. You are not merely, with this great shift in consciousness, overcoming the hierarchical tyranny of several Earth ages, dear ones, as great as that is. You are writing the way forward to a whole new moment for this planet, in which your voices sing not the one note prewritten for you, but the many harmonic notes you decided independently, before incarnating, to add to the collective celebration. This glorious combination of voices is now serving to break through the old paradigms of oppression, to bring you to new places of strength, grace, calm, and a centered sense of purpose. It is aiding you in awakening, to Know and to Remember why you are here. You will not celebrate every moment of this transition—there is much sadness in any form of letting go of the familiar, when that has been a comfort and a well-known pattern. Yet in the name of your freedom and Ascension journey, you have decided on that very thing. And all of us in the higher realms (and also here with you upon the Earth) rejoice to see your increasing forms of independence, your inner empowerment, and your outer. And your increasing knowing that you are completely loved and believed in, and guided at every moment. You have only to ask, to know that Wisdom as your own. You are all of you Rising now, to new and unseen heights. 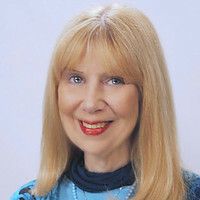 Caroline Oceana Ryan is an author, speaker, and channneler, and host of “The Empowered Lightworker.” She currently channels the higher wisdom and guidance of the Collective, a group of higher beings assisting humanity as we Ascend into fifth dimensional life. On Palm Sunday, April 14, 2019, we held our Free Seminar in Austin, Texas. This was the beginning of Holy Week which is considered the most sacred time of year by billions of people around the world. Our first activity of Light was to offer the Cup of our collective consciousness as the Open Door through which our Father-Mother God would blaze their magnificent Light into our Planetary Grid of Transfiguring Divine Love. This grid has been building in momentum for over 50 years. Over 100 dedicated Lightworkers attended the seminar, and we were joined in consciousness by thousands of Lightworkers from around the world who were projecting their Light and Love into the Chalice of our Heart Flames in Austin, Texas. This greatly expanded the amount of Light our Father-Mother God and the Company of Heaven were able to infuse into our Planetary Grid of Transfiguring Divine Love. That Gift of Light is now amplifying the Lightwork of every single person on Earth one thousand fold every single day. The Second Phase of the Divine Plan Accomplished In Austin, Texas Springtime begins in the Northern Hemisphere every year with the March Equinox, and the influx of the Mother of Pearl Resurrection Flame. In 2019, the March Equinox occurred on March 20th or 21st depending on where you live. On that sacred day, we were also blessed with the third Super Full Moon of 2019. The Company of Heaven said the synchronicity of those events provided a greatly intensified opportunity for our I AM Presence and the Divine Intelligence within our Earthly Bodies, our 5th-Dimensional Body Elemental, to accelerate the Divine Alchemy taking place within our physical, etheric, mental and emotional bodies. This Divine Alchemy involves transforming our carbon-based planetary cells into the 5th-Dimensional Crystalline-based Solar Light cells that will form our bodies once we complete our Ascension onto the New Earth. Every year during the March Equinox the Mighty Angel of Resurrection bathes the Earth and all Life evolving upon her in the most intensified frequencies of the Mother of Pearl Resurrection Flame that Humanity and the Elemental Kingdom are capable of receiving. This Sacred Fire blesses the Earth for several weeks Resurrecting Humanity, the Elemental Kingdom and Mother Earth into the next phase of our Ascension process. During our seminar on Palm Sunday, our Father-Mother God granted the Angel of Resurrection permission to breathe higher frequencies of the Mother of Pearl Resurrection Flame into Humanity’s carbon-based cells, and the carbon-based cells within the elemental substances that comprise the Body of Mother Earth. Then, through the Chalice of our unified Heart Flames, the I AM Presence of every person was able to receive higher frequencies of our Father-Mother God’s 5th-Dimensional Crystalline Solar Light than Humanity and the Elemental Kingdom have ever been able to safely assimilate. This Crystalline Light was anchored within the Core of Purity in every atomic and subatomic particle and wave of Life on Earth. The monumental amplification of 5th-Dimensional Crystalline Solar Light quickened the vibratory rate of Humanity’s and Mother Earth’s carbon-based cells. 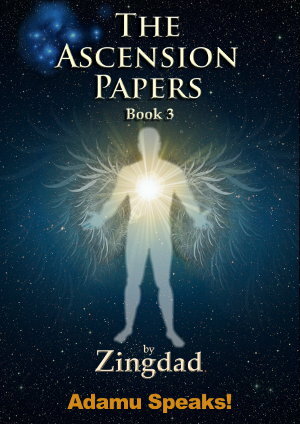 This allowed our I AM Presence and our Body Elemental to accelerate the Divine Alchemy taking place within the crystalline cells of our 5th-Dimensional Crystalline Solar Light Bodies. Our Body Elemental was then able to cast the residue of the toxic substances that were still contaminating our cells into the Violet Flame of God’s Infinite Forgiveness. These toxic substances were then transmuted back into their original perfection. This purging cleared the way for a tremendous influx of the NEW Yellow-gold frequencies of Divine Enlightenment. This Sacred Fire is now awakening within the Heart Flame of every man, woman and child on Earth the intuitive KNOWING of Oneness and Reverence for ALL Life. The Company of Heaven revealed that the God Victorious accomplishment of these activities of Light prepared every man, woman and child on Earth for the facets of the Divine Plan that were destined to occur during the rest of Holy Week. On April 15, 2019, billions of people around the world watched in horror as the magnificent Notre Dame Cathedral in Paris, France burned out of control. The shock of this heart-rending event forced open the hearts of the masses of Humanity in ways that allowed the Divine Feminine to expand her Presence within every Heart Flame. This triggered a healing process that has been unfolding for over 850 years. Now through the unified efforts of Heaven and Earth the Cathedral of Notre Dame will be Resurrected and Transfigured. Holy Week will be brought to fruition with the celebrations of Passover, Easter and Earth Day. The first Full Moon following the March Equinox is celebrated as the Passover Full Moon. Easter is celebrated the first Sunday following the Passover Full Moon. This year the Passover Full Moon will occur on April 19th which is also Good Friday. The synchronicity of these two events will greatly amplify the influx of Light that will bathe the Earth on Good Friday and Holy Saturday. Easter Sunday is April 21st. Because of the global focus of attention on the activities of Light that have taken place during Holy Week, we will experience an extraordinarily powerful expansion of the Resurrection Flame on Easter Sunday. This influx of Light will bless Humanity, the Elemental Kingdom and Mother Earth in wondrous ways. On April 22, 2019, people around the world will celebrate Earth Day. Humanity and the Elemental Kingdom will join together in consciousness and we will receive a blessing from the Mighty Elohim, the Directors of the Elements and our Body Elemental that will accelerate the Divine Alchemy taking place in our Earthly Bodies and the Body of Mother Earth. Dear One, Thank you for being the Open Door that no one can shut. I wish you a Glorious Holiday Season.